The majority of folks know Motorola as one of the world’s premier smartphone makers, but most people forget that they’ve been in the audio headset business for an extremely long time. 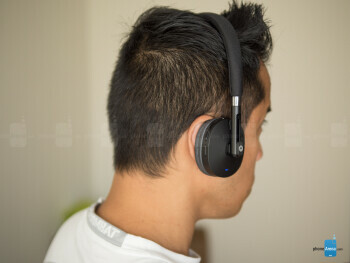 Along with the third-generation Moto G, the company announced a couple of budget-priced headphones during its announcement last week – the Moto Surround and Moto Pulse. The latter is what we’re going to be talking about in detail in this review. Boasting an easy to buy price of $59.99, the Moto Pulse is pretty light on the pockets, but let’s hope it’s not light in everything else. 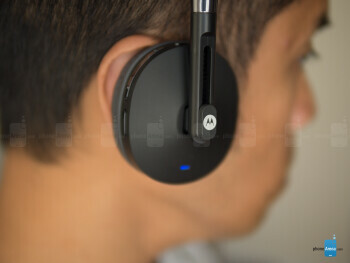 Unlike the Moto Surround, which sports an around-the-neck design, the Moto Pulse instead goes after the on-the-ear style. Frankly, the model is bland and cheap looking, which is further made profound picking them up in our hands. Sure, it’s lightweight and offers a tight fit when it’s worn, so it stays firmly with vigorous activity, but there’s just that cheap attachment due to its flimsy construction – there’s just no solid or stylish qualities to its design. Indeed, the boring design is forgettable, but it doesn’t help either that there’s minimal padding throughout it. For example, the headband is lined with barely any cushioning to it whatsoever – while the ear cups are treated to a marginal amount. And it really annoys us how we’re never satisfied by how they sit over our ear! 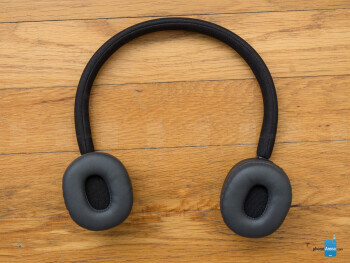 You’d think that the rotating and adjustable height of the ear cups would offer a supple fit, but that’s hardly the case, as there’s no solid locking mechanism to prevent the ear cups from moving on their own. It’s maddening we tell you, especially when it can randomly plop off! 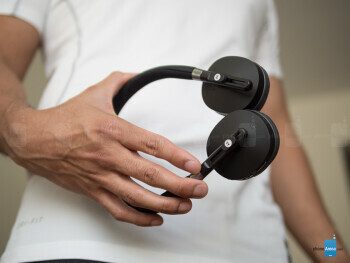 All of the headphones’ buttons and ports are situated along the right ear cup, so they include the power button, volume controls, multi-function button, LED status light, and microUSB port. Although the power button and multi-function buttons are relatively easy to feel out with our finger, we sometimes find ourselves having difficulty in finagling with the volume controls – they’re just not raised enough! 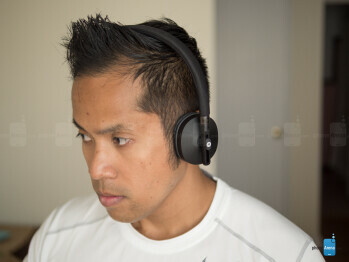 Overall, the Moto Pulse sports one of the blandest designs we’ve come across in recent memory when it comes to on-the-ear styled headphones. And it doesn’t help either that it exudes that cheapo feel with its construction too! A staple app that’s preloaded with its phones, the Motorola Connect app is downloadable via the Google Play Store for other phones as well. Alternatively, it’s also available for iOS users through the App Store. From the onset, the app is pretty generic and straightforward, seeing that it offer us relevant information regarding the Moto Pulse – like its battery life and connection status. Aside from that, there’s really nothing special about it. 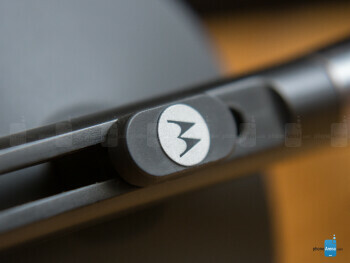 Alright, we’ll give credit to Motorola for having the expertise when it comes to range. Just like the Moto Surround, the Moto Pulse offers extended connectivity range over other comparable models. 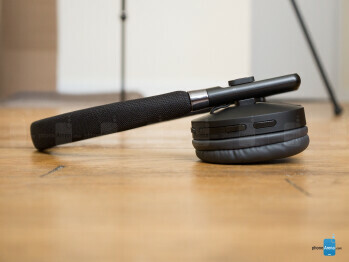 Sticking with a Bluetooth 4.1 radio, the company claims it can achieve a maximum range of 60 feet; open space obviously. In our real world testing, we’re content with the 30 feet range it’s able to achieve indoors – where it’s more complicated with retaining its penetrating power through walls. Beyond its better-than-average reach, it also offers Multipoint technology to allow simultaneous pairing between two devices. It could’ve been worse, but the Moto Pulse’s performance with music listening is tolerable enough for us to accept for most occasions. Catering to the youths, there’s a strong presence with lower audio ranges – so there’s always that pleasant level of bass accompanying its quality. Luckily, it’s never too overpowering, but it’s undoubtedly evident that it’s rather light with the treble. Testing it out at the highest volume setting, the Moto Pulse somehow is able to minimize any straining qualities that would otherwise prove irritating to the ear. Likewise, there are some challenges to overcome with its call quality performance, but it still largely remains to be usable for the occasion – thanks in part to its strong volume output. Voices through the Moto Pulse have a very light robotic tone to them, while on the other end of the line, there’s some light muffled tones as well to deal with. It’s not perfect, that’s for sure, but it’s not a total wash either. Rated to deliver up to 18 hours of talk time or play time, that’s an ambitious mark for such a budget conscious pair of headphones. Using the Moto Pulse through our workout routines each day, we’re able to get out a little over 14 hours of juice from a full charge. While it doesn’t necessarily hit that full 18 hours, we’re nonetheless still content by its reach, which is good considering its price point. We’re dealing with an affordably priced pair of headphones here, there’s just no denying that when we look at its $59.99 cost. Obviously, its design reflects that very much, seeing that it’s bland, boring, and as generic as it can get. What we’re dealing with here, folks, is just a cheaply constructed thing – and it doesn’t help when its fit just never feels proper over our ears. 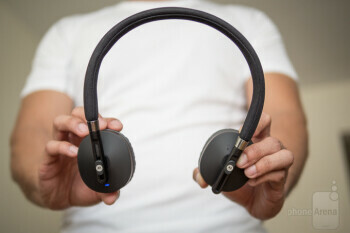 However, even with its ergonomic challenges and tasteless aesthetics, the Moto Pulse manages to offer an okay audio experience that’s decent enough to use for music listening and _phone_ calls. If it weren’t for its passable audio performance and good battery life, it’d be tough to recommend this one over other offerings. Needless to say, its low costs makes it an attractive option for those on a slim budget, but those with higher budgets will want to steer clear from this one.